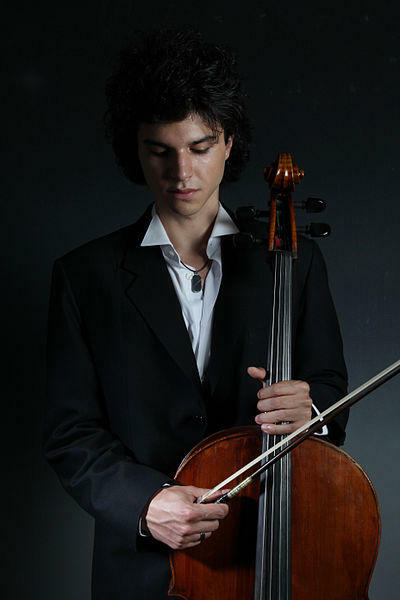 Azerbaijani cellist Jamal Aliyev will give a concert in St. James Church in London on January 15. The cellist will perform works of such world famous composers as Felix Mendelssohn and Sergei Rachmaninoff. Jamal Aliyev will perform together with Eunsley Park (violin) and Daniel Evans (piano) at the concert. Eunsley Park is a rising British/South Korean violinist based in London. Eunsley has performed as soloist in prestigious venues throughout the UK including: the Wigmore Hall, Royal Albert Hall, Southbank - Purcell Room, Cadogan Hall, St John's Smith Square, St. James Piccadilly, the Victoria and Albert Museum, the Swiss Embassy, Wyastone Concert Hall, Steinway Hall, West Road Concert Hall, and the House of Lords. She has also performed as soloist and chamber musician in international venues such as: the Philharmonic Hall of Warsaw, Rachmaninov Hall (Moscow), Konserthuset (Stockholm), Palacio de Festivales (Cantabria), Orford Arts Centre (Canada), Mozarteum (Salzburg), Polish Radio Lutoslawski Concert Hall, the Council of Europe (Strasbourg), Goldensaal (Schwerin). In 2017 Jamal Aliyev made his solo debut at the BBC Proms, won the Arts Club – Sir Karl Jenkins Music Award and was selected for representation by YCAT UK. His debut CD “Russian Masters” was released by Champs Hill records to critical acclaim. The musician performed on BBC Radio 3, Medici TV and London Live TV on many occasions, including his solo performance with the BBC Concert Orchestra where he gave his debut live broadcast at the Menuhin Hall. As a soloist he has and will appear with the Bilkent Symphony, Istanbul State Symphony, Eskisehir Symphony and Presidential Symphony Orchestras of Turkey, El Sistema Symphony of Venezuela, Kennemer Jeugd Orkest of Holland, Royal Northern Sinfonia, Orpheus Sinfonia, the Sampson Orchestra of Cambridge, the Guildford, Epsom and Croydon Symphony Orchestras, among many others. During his studies Jamal has won numerous awards including the Musicians’ Company Prince’s Prize (2017) and 1st Prize at the Eastbourne (2016), Croydon (2015), Bromsgrove (2015), Muriel Taylor (2014) and V. Antonio Janigro International Competitions (2004). Jamal plays on a Giovanni Battista Gabrielli cello (1756) on generous loan from a patron of Beares International Violin Society, London.